If you’re seeking a pool that reflects the natural world, look no further than freeform. Elegant, and flowing, evoking the ebb and flow of water – the beauty of a freeform pool can transform any backyard into a tranquil paradise. With graceful curves and fluid lines, this statement piece can conjure up a lagoon-like appearance with limitless possibilities – thanks to our unique approach to each and every pool. 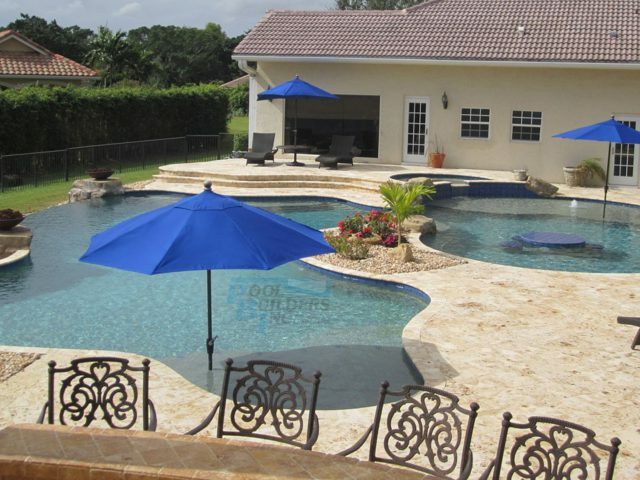 With over 50 years’ of experience, Pool Builders Inc. will turn your concepts into reality. Our professionals take great care to listen to client requirements in order to design, construct and equip a pool that suits both your aesthetic desires and functional needs. Our membership in the elite Master Pools Guild sets us apart as respected swimming pool builders with a commitment to the highest standards of craftsmanship. 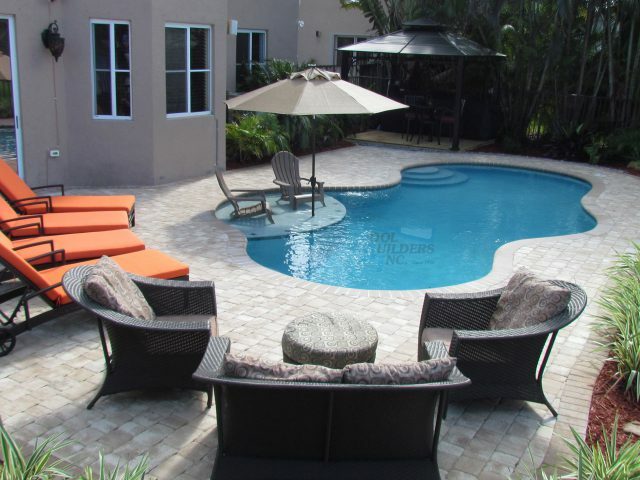 This is reflected over our long history and delivery of over 20,000 successful pool creations across Fort Lauderdale and South Florida areas. To discuss your ideas with our friendly team, simply get in touch today – we’re happy to offer free, no obligation quotes.